What follows is a high level overview of the events covered or hinted at in Dennou Coil. I have never written a “documentation” type entry before, so this may come off as dry (or drier) in tone. Why documentation? Because it’s just that interesting to me. Dennou Coil has a very rich backstory, sometimes delivered in as little as a few lines at a time. I don’t make any claims as to this entry’s completeness, and if you disagree with something or think something is missing, please let me know. If you don’t want to be spoiled, read no further. That said, the first thing that has to be discussed is the Coil Company. It is the single greatest influence in the series even though much of its discoveries and history is suppressed or lost. Some undetermined time prior to the first episode of Dennou Coil, the Coil Company was a pioneering dennou glasses developer. Its eyeglasses could augment reality by overlaying virtual images and allow the user to manipulate them in real time. The glasses had integrated radios and speakers, and with virtual keyboards and display windows, was an infinitely more mobile and flexible technology than a laptop could ever be. Programs and functions were represented as objects that could also be manipulated. Interaction between users required a high speed wireless link, which was satisfied by the development of a kind of quantum antenna tuner. This radio technology likely far exceeds what is currently possible with 4G mobile networks, and probably exceeds Shannon’s limit for information transfer, but this isn’t hard science fiction. In episode 25, a readout indicates an uplink and downlink in the 1.2 GHz and 2.4 GHz bands respectively. That particular sequence also suggests an agile radio architecture capable of adjusting its bandwidth according to capacity demands, and frequency hopping to counter wireless channel impairments. While in development, Coil Company engineers discovered another effect produced by this radio that would be eventually named Imago. In addition to data, the radio could exchange human consciousness. For this to occur, a brain-computer interface exists as a conduit between the mind and the radio in the glasses. However it’s not likely physical since Megamass would have removed it from its glasses design. More probable is that the antenna interacts with the mind wirelessly. It is possible for a user to “shift” or separate their minds from their bodies, but only under very particular circumstances, and it’s not at all clear how a user might return to their body. Both tasks were left to Null Carriers, special extraction and guidance programs that manifested themselves as black humanoid figures. Initially perceived as a benefit and great accomplishment, the Coil Company created a cyberspace and infrastructure with Imago support. Rather than relying on gestures or voice recognition to issue commands, Imago users could simply think the command. An extension of this space was a new space that required a shift in order to enter. In this space, the mind could be manipulated just like any other entity in the virtual environment, opening up the possibility for cures to mental or psychological conditions. Imago is most effectively wielded by the young, although why is unknown. Adults can have their minds extracted as well, but it appears that it is increasingly difficult with age and doing so does take a toll on the physical body. In extreme situations, the body may die, leaving the mind trapped in the virtual space. If it wasn’t evident from the above, Imago has potentially dangerous implications. A person’s mind can be separated and put into storage indefinitely, rendering the body brain dead. Even for un-shifted users, the environment could still interact with the mind, causing adverse effects such as headaches and heart palpitations. 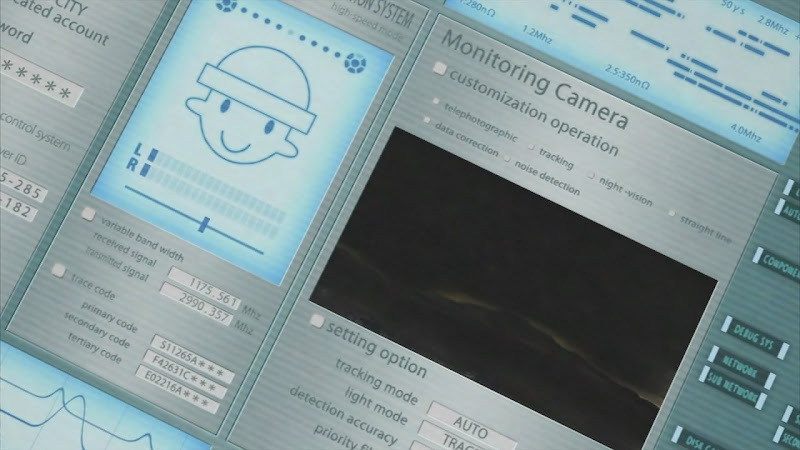 In episode 23, Isako remarks that her virtual body is inextricably tied to her physical one through Imago, and that a formatting of the former would result in damage to the latter. But perhaps most significant is that things that only exist in ethereal terms in the mind – emotion, memories, thoughts – can manifest themselves as separate entities. These unstable elements can infect other entities, such as Null Carriers being turned into Null Illegals, or result in completely autonomous creatures with cognition. Not everyone can use or is affected by Imago. Some are born with it and there are suggestions that it could be hereditary, but it may also be possible to install Imago into someone. It’s never stated, but Dr. Okonogi may have installed Imago into Isako to attempt a cybercure. In acquiring the Coil Company, Megamass got more than it bargained for. Imago was an incredibly dangerous legacy, but also a side-effect of the enabling technology in AR glasses. Their decision was to suppress all knowledge of Imago. Coil Company’s chief engineer, Sousuke Nekome’s father, was deposed, censured, and in general probably had his career ruined. The end result was that he likely took his own life, leaving behind two sons and a wife who later fell ill. Embittered, Sousuke plotted revenge with the aid of former Coil employees now employed by Megamass and his brother Takeru. While Megamass worked to suppress any knowledge about Imago, they did not completely abandon it. At first. Five years prior to the first episode, Yuko Amasawa and her older brother Nobuhiko were moving from Kanazawa to Daikoku City to live with relatives when they were involved in a car accident. 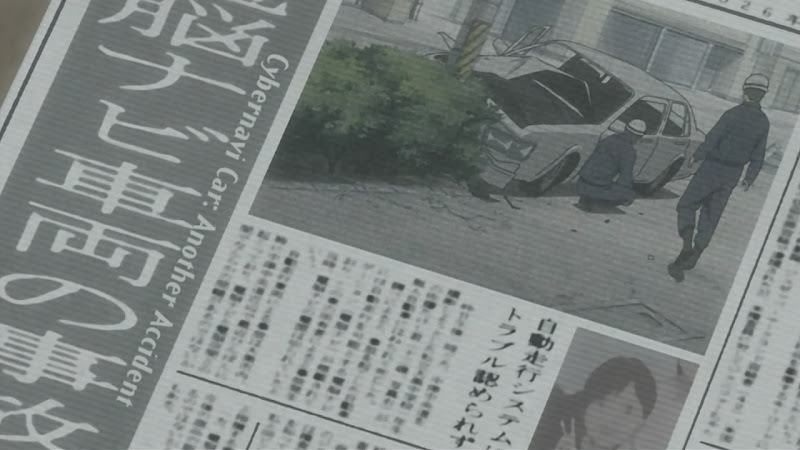 Nobuhiko died the day of the accident, but Yuko survived. Traumatized by her brother’s death, she may have slipped into a coma. Megamass called upon Dr. Okonogi to treat the girl, and he did so by creating a cyberspace codenamed 4-4-2-3. 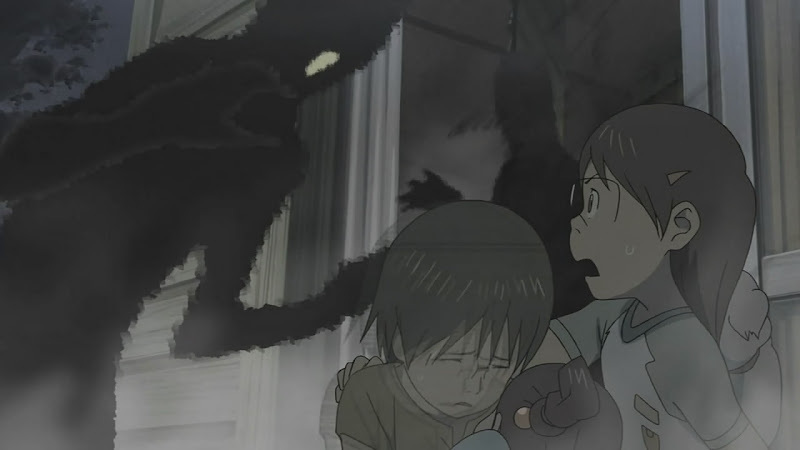 In it, Imago was used to construct entities and an overall environment that would allow Yuko to come to terms with her brother’s death. Central to the attempt was the recreation of Nobuhiko, which would allow Yuko to say a final goodbye before returning to the physical world. 4-4-2-3 was not stable, and after some time began to collapse. In order to stabilize the cyberspace and save Yuko’s consciousness, Dr. Okonogi entered 4-4-2-3. Yuko, and 4-4-2-3 were saved, but Dr. Okonogi’s physical body died thereafter. In addition to the virtual brother, a virtual pet dog was also created. 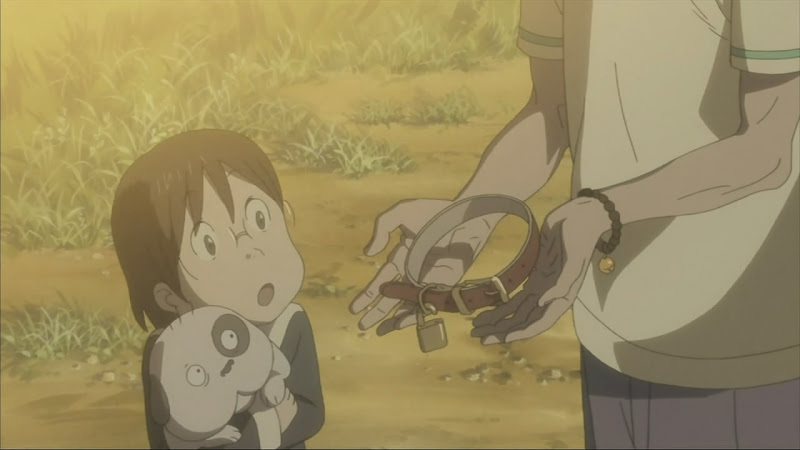 Named Densuke, the dog originally existed inside 4-4-2-3 and had Null Carrier abilities. Possibly at his request, Densuke was given to Dr. Okonogi’s granddaughter, also named Yuko, as part of a birthday present. While at her grandmother’s in Daikoku City, Yuko Okonogi literally chased after Densuke into the Coil Company’s Imago space (Coil Domain) and then into 4-4-2-3, where she met the virtual Nobuhiko. Nobuhiko helped Yuko find Densuke, and also gave her the nickname Yasako. The other Yuko, given the name Isako, spied Yasako proclaiming herself as Nobuhiko’s girlfriend and giving him a kiss. A fit of jealous rage began to destabilize the cyberspace. Not knowing that she was the direct cause of the destabilization, Isako’s consciousness tried to save 4-4-2-3. Her efforts gave rise to what is now known as Michiko. Having left 4-4-2-3, Yasako found herself lost in the Coil Domain’s representation of Daikoku City. Wandering around, a Null Carrier steps out (or rather, unfolds) from inside a nearby shrine. After some conversation, it is revealed that the Null Carrier is not a Null Carrier at all, but rather Dr. Okonogi’s consciousness. To interject for a moment, he seemed pretty upbeat knowing that he’s basically dead. After creating a barrier function to prevent Densuke from entering the Coil Domain, Dr. Okonogi leaves to rescue Isako. What happens next, and in what order, is incredibly murky. I present my own interpretation below. We know that Isako’s mind eventually returns to the physical world, but what happened to Dr. Okonogi and what happened in the process is not stated. It’s hinted, though, that the “normal” cyberspace was severely disrupted. In response, Megamass attempted to format the Coil Domain multiple times, and Michiko herself may have been fragmented in the process. The result of normal space fragmentation is the creation of metabugs, while fragments of Michiko result in kirabugs. Ultimately, the formatting failed, probably because the Coil Domain is difficult to access, and because early formatting technology did not have a permanent effect. Also, Sousuke must have somehow struck a deal with Michiko at this time. In exchange for saving 4-4-2-3, Michiko agreed to shift Imago users from all over, possibly with the help of corrupted Null Carriers. Sousuke would get his revenge on Megamass, and Michiko’s survival is ensured. It is hypothesized that Michiko possesses Null Carrier abilities like Densuke. Kirabugs are stated or shown to have 3 functions: to open a portal, to stabilize it, and to guide a shifted user back to their body. A portal created with kirabugs enables an Imago user to shift without the use of a Null Carrier. Later in the series, kirabug portals are the method of choice for those who wish to shift into the Coil Domain. Despite their inability to destroy the Coil Domain, Megamass succeeded in covering up 4-4-2-3. Isako was released without any recollection of the world other than the false notion that 4-4-2-3 was her brother, and that he was still alive in cyberspace. Sousuke was placed in charge of Isako, and they couldn’t have chosen a better person, or something. The intention may have been to make sure she keeps her mouth shut, and also to see if her connection to 4-4-2-3 would allow them to one day destroy the Coil Domain once and for all. They would later reconsider their decision and attempt to dispose of her. 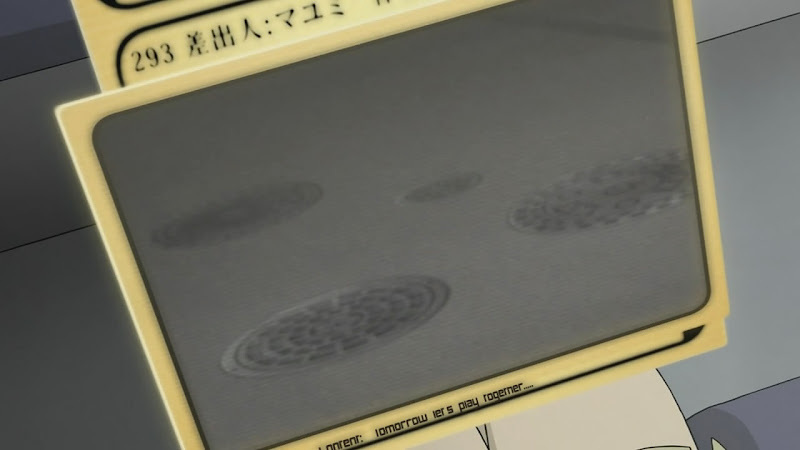 The Coil Cyber-Detective Agency was created by Dr. Okonogi’s wife. As per its namesake, the techniques used by its members were developed with (limited) knowledge of the original Coil Company technology. Creating programs was predicated on using metabugs as a source material, which proved increasingly difficult as metabug availability diminished. These programs, taking a form known as a metatag, would eventually lead to a variant that did not require metabugs, called an encode. However, guidance type programs would always require Coil-era material, and a kirabug is required by Isako to synthesize a portal stabilization or guidance encode. Four years prior to the first episode, Sousuke joined the agency. He convinced his fellow agent Tamako to collect kirabugs (her method is not stated) and once Tamako had collected a sufficient quantity, a portal to the Coil Domain was opened. 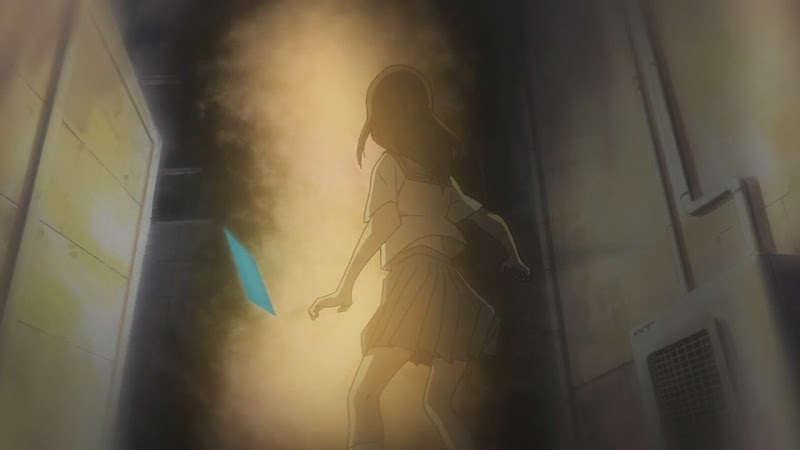 Since the portal initially opened right in front of her, it is implied that she has at least a weak form of Imago, which is further corroborated by the fact that she was almost pulled to the other side. She was saved by Dr. Okonogi’s wife at the cost of the latter’s memory, suggesting a confrontation with a Null Carrier which by this point may have been corrupted by Michiko’s influence. 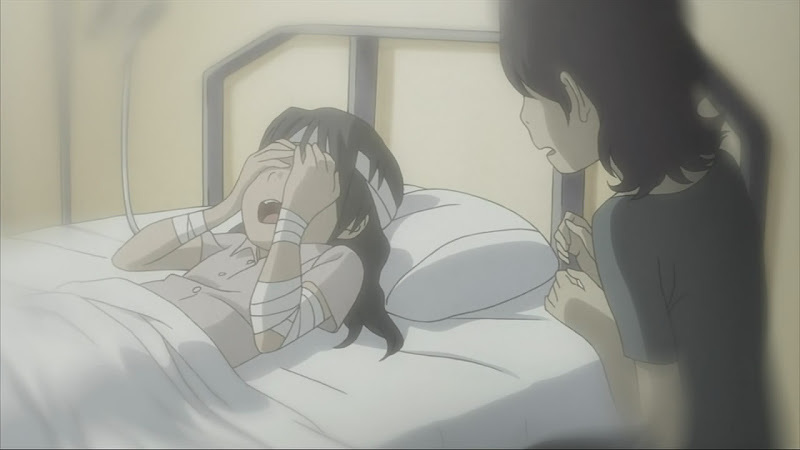 Several other children fainted in the presence of a portal at Nakatsu Crossroads. It’s not clear if that was the same portal that Tamako opened, or a new one that opened up as the process got out of control. Whether they were attacked by Null Illegals, or just partially shifted, they all recovered. Megamass was aware that Imago was a root cause of the disaster but they could not design it out of their glasses. Since the Coil Company’s space was a necessary although insufficient condition, formatting the space was the next best option. Unformatted space became “obsolete” space in the minds of the public. As obsolete space was destroyed, so were metabugs. However, even as late as three years into the formatting campaign, obsolete space still persisted, and sometimes in very large patches. It’s hard to say why, although it has been shown that following the opening of a kirabug portal, obsolete space does spread, as if corrupting the Megmass formatted space. Perhaps it can spread even without the presence of a portal. Within obsolete space there existed so-called “Illegal” entities. In general they seem to be creature entities like virtual pets that were corrupted. They are unstable when large in size, and also cannot survive long in Megamass formatted space. They sustain their existence by consuming cybermaterial, and the ones that consume metabugs tend to carry kirabugs. It is from kirabug carriers that Sousuke, Takeru, and Isako amassed their kirabug supply. One year before the first episode, the three had collected enough to open a portal, but were unable to control its location. It has been implied that the portal’s location can be influenced by an Imago user with strong emotions, and the portal did open up in front of Kanna Ashihara, who had received some fresh verbal hurt from Haraken. She was at Nakatsu Crossroads and may have spotted her lost cyberpet across the street. Kanna shifted her consciousness to cross the intersection and “stepped” in front of an oncoming car. The cybernavigation unit ordered the car to veer onto the sidewalk in order to avoid what it thought was her real body, when in fact her real body was still on the sidewalk. Kanna was struck and killed, but her consciousness remained within the Coil Domain. In a brilliant display of obscuring facts, Megamass insisted that the cybernavi could do no wrong, and it was essentially their word against a dead girl. With no conclusive evidence to say otherwise, at least none that they were willing to share, the official finding was that Kanna was responsible for the accident. As Megamass was more concerned with finding a way to format the Coil Domain, Sousuke and Isako are let off the hook and continue to pursue portal opening. The accident tormented Haraken who believed that it was his fault, and started a research project into Illegals in order to meet her again. 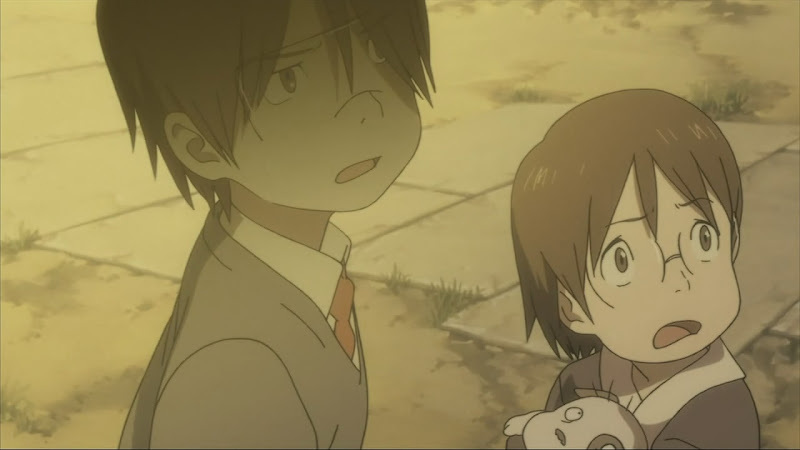 Takeru and Isako harboured guilt over their indirect roles in the tragedy. Sousuke viewed it as a setback, nothing more. Less than a year before the first episode, Mayumi discovers the Loophole Nexus at the former headquarters of the now defunct Coil Company. It is the last stable passage into the Coil Domain and as such requires a Null Carrier to facilitate shifts. Her desire for further discovery results in harassment from classmates and her best friend Yasako refuses to defend her, going so far as to not wanting to know of the Nexus’ location. Mayumi perceived Yasako’s distance as bullying, but in reality others bullied her and Yasako refused to get involved. Regardless, she cut ties with Yasako in retaliation, which Yasako perceived as bullying. There was some confusion over Ureshii’s translation, and one user put forth an alternative. Yasako later moved to Daikoku City, and Mayumi abandoned her attempt to find out more about the Loophole Nexus. Without Coil manufactured glasses with an accepted identification code, shifting into the passage was impossible. This concludes the backstory documentation. I hope it was as interesting to read as it was compiling it. Up next, a high level summary of the events that take place during the series. This entry was written by introspect, posted on December 26, 2007 at 5:31 pm, filed under anime and tagged anime, Dennou Coil, documentation, surveys. Bookmark the permalink. Follow any comments here with the RSS feed for this post. Both comments and trackbacks are currently closed.